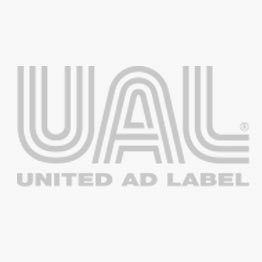 United Ad Label began in 1958 with a nurse’s desire to provide better communication in the workplace by using a label. From this simple beginning our company quickly grew to be a premier provider of quality labels to the healthcare field. A move from California to Chicago allowed continued growth and process improvement. UAL’s reputation for quality and service did not go unnoticed and we eventually became part of the RR Donnelley family, the world's largest printer. Today, we are able to draw on vast internal resources to serve many types of facilities, in addition to our core healthcare base. Our extensive line of products and services includes not only labels but also commercial printing, print fulfillment, kitting, forms, online services and logistics. Our ability to manufacture and distribute from locations throughout the U.S. reduces lead times and shipping costs. We manufacture both stock and custom items, and our suite of products and services allows us to be a single-source supplier for all your communication needs.